With Christmas out of the way and now a distant memory, we have Easter to look forward to. Lot of chocolate eggs, fluffy bunny’s and more chocolate. However, if you are looking for an alternative that isn’t made of chocolate, I have the perfect solution. 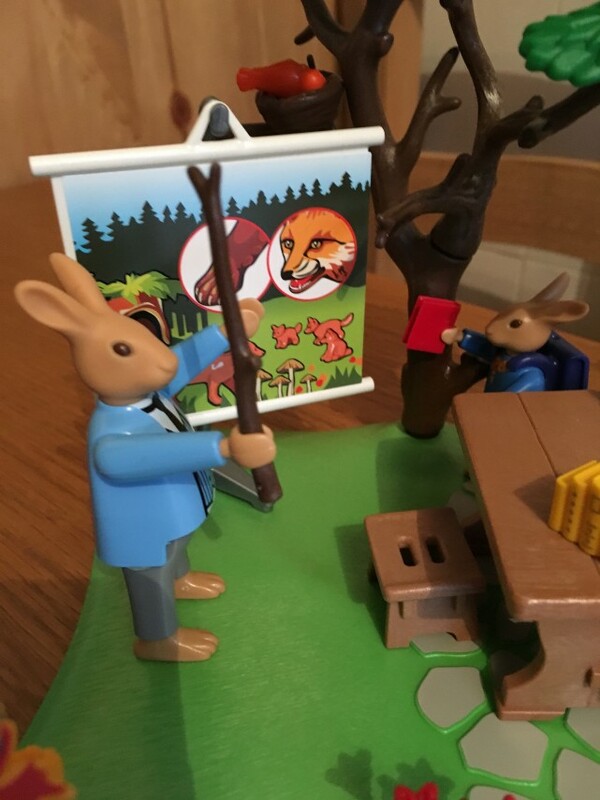 As part of my Playmobil Playologist role, we were sent the Playmobil Easter Bunny School to build and try out. Tyler couldn’t wait to build this. He was enjoying making the video too which you can see below. Tyler has just turned 7, the set is aimed from 4-10 years, so he’s in the middle, and built this within about 20 minutes. He enjoyed the lots of little extras that made this set what it is. He loved the little eggs and spent time hiding them in the trees and flying the little butterflies and birds around. 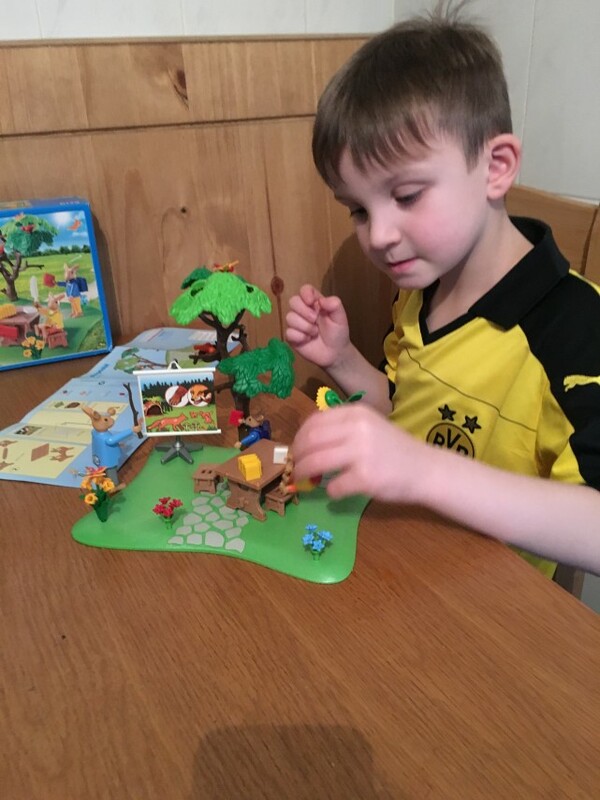 Being at school himself, a school set appeals to him for role playing and imaginative play. I listened to him chatting away with the bunnies being pupils and school teacher, it was a delight to watch and listen too. He had the little bunnies reading their books and carrying the school bags home at the end of the day. What I love about Playmobil is the simple illustrated instructions. It allows children to build them on their own and really feel like they have accomplished something. All the items within the set are well made, brightly coloured and the attention to detail is spot on. From the little cobble stones on the path to the flowers on the grass to the little feather quill and ink pot. It is adorable and definitely something that will be played with here for years to come. There aren’t too many little fiddly bits, it all fits together nicely on the grass bass. Tyler really enjoyed building and playing with this set. It makes an excellent gift if you want to give something other than a chocolate Easter egg this year or just a seasonal gift. It looks great, it’s well made and simple to construct. We love this set and the attention to details really helps it come to life. Don’t just take my word for it; why not watch Tyler’s video. The new Easter collection is available now. 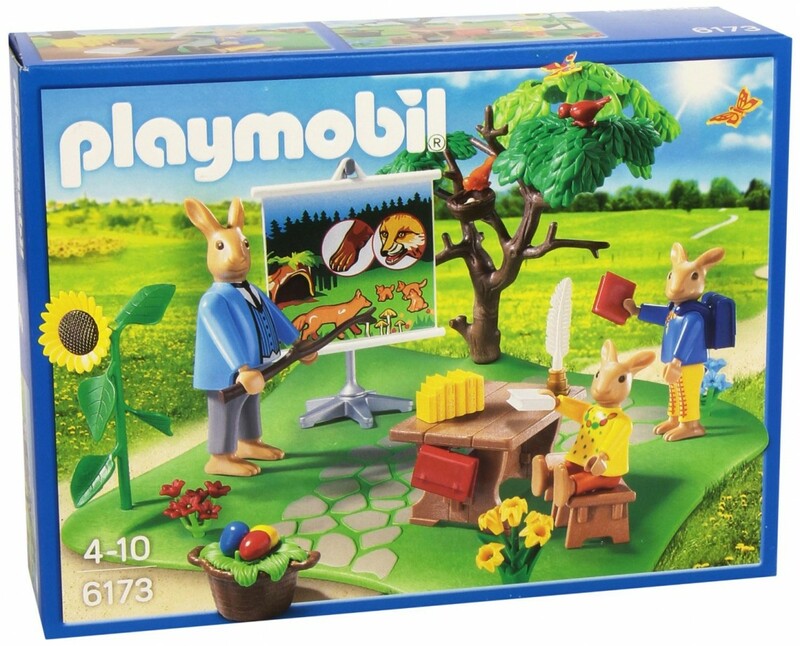 As well as the Playmobil Easter Bunny School, they also have released 4 different Easter Eggs. 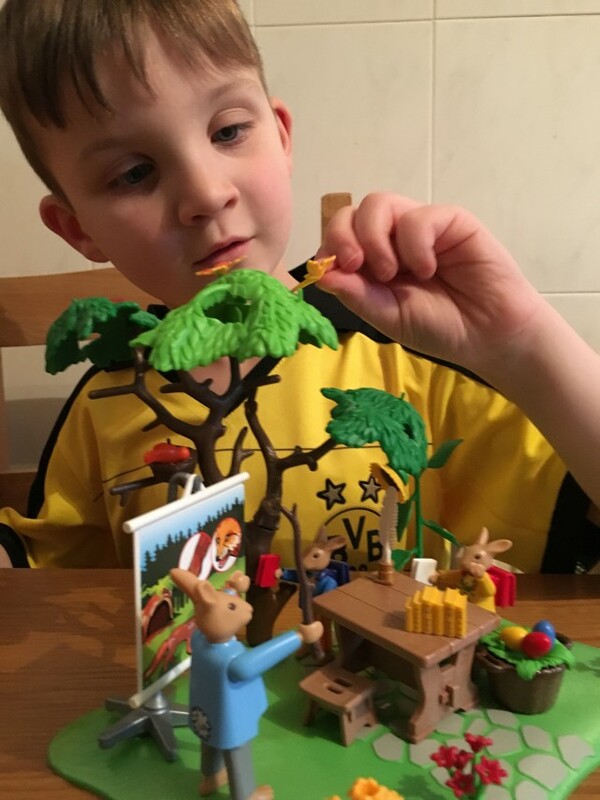 The Easter Bunny set costs £12.99 which I think is excellent value for a fun kit which can be used as part of existing Playmobil or stand alone. There are lots of bits and Tyler has spent hours role playing school and hiding the eggs around the set. He really loved this one. The Easter Eggs are priced at £6.99 and have a Pirate, City Life, Mermaid and Football themes. The football theme is one my oldest is angling for for his Easter. 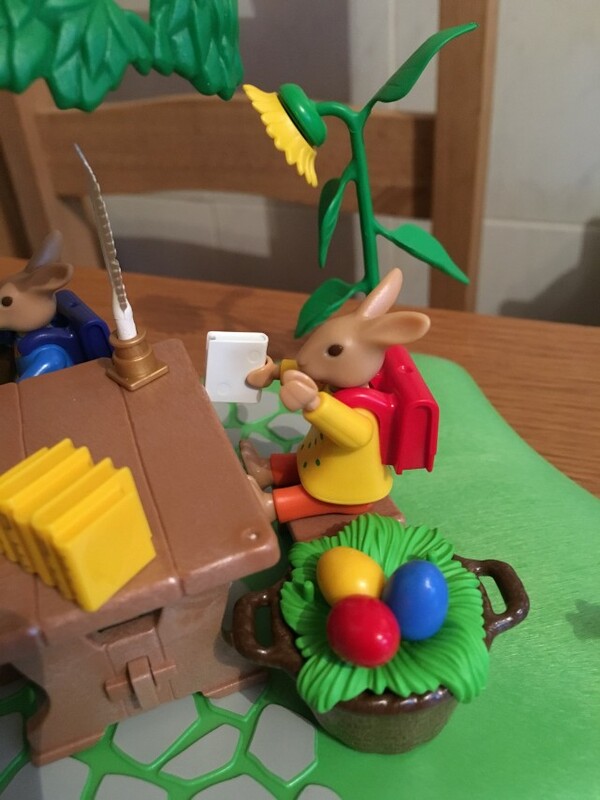 Disclosure: We received the Easter Bunny School as part of being a Playmobil Playologist, for the purposes of writing this review however all thoughts and opinions are my own. Mine are really into Lego and Playmobile so this would really appeal! It’s such a good alternative to chocolate. 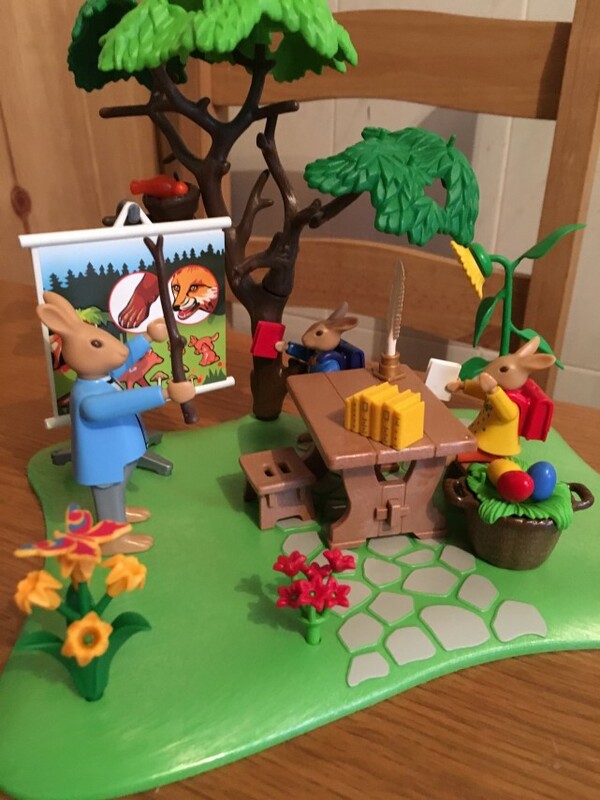 Lovely post – I do love the Easter Bunny sets. Oooh this is so cute! I love it!